As of July 4, 2011, most of my blogs are on indefinite sabbatical, but you can still keep up with me at KyForward, Twitter, my writing and photo blogs, and JSH News! Well, that was certainly a short run. Boudreaux's at 116 East Main opened just a few months ago and they've already packed it in. Just happened to be walking by the other day and noticed the place is empty and for lease. I only went in here once and was treated pretty snootily, so I can't say as I'm shedding a tear to see them go. 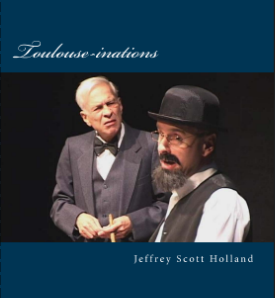 Jeffrey Scott Holland's new novel "Toulouse-inations" now available! This blog's ONLY concern is empty storefronts, for their own sake. In general, I have no idea if these stores went out of business, or moved elsewhere, nor is it really within the scope of this blog to seek that info out.